The Rug Company has long been one of my very favourite destinations to visit and swoon over their amazingly designed rugs. They always have such a stunning collection and even their collaborations with designers, such as Kelly Wearstler, Diane von Furstenberg and Jonathan Adler (to name a few) have produced some of my most beloved styles over the years. Recently I have spotted some newly designed rugs from their Studio Collection and really loved them! I wanted to share a few with you today and talk about how to choose a rug, according to your personal interior style! The good news is that a few of these styles are based at a lower price point and there is an option for every interior look! What I love most about these styles is that they are modern yet classic. 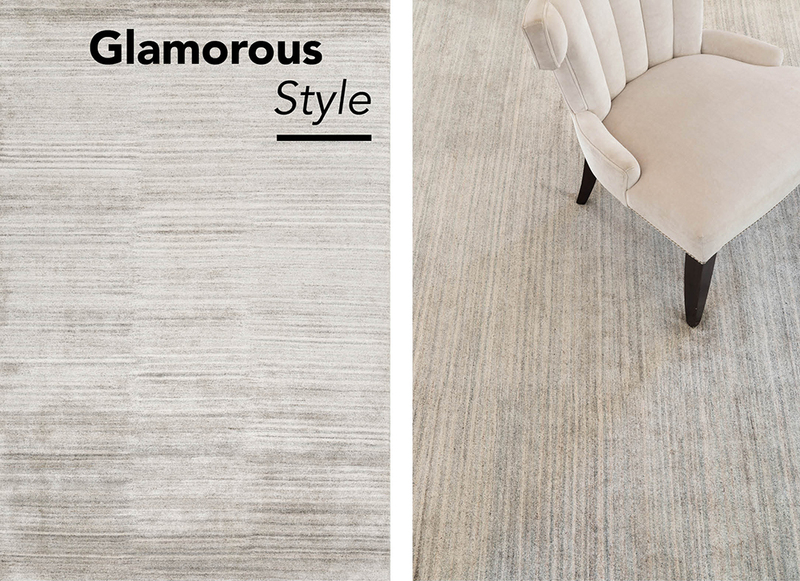 The Rug Company is always on point at producing beautiful rugs that also embody sophistication too! These will last over time and that is one of the most important things to consider when you are buying a statement piece for your home. 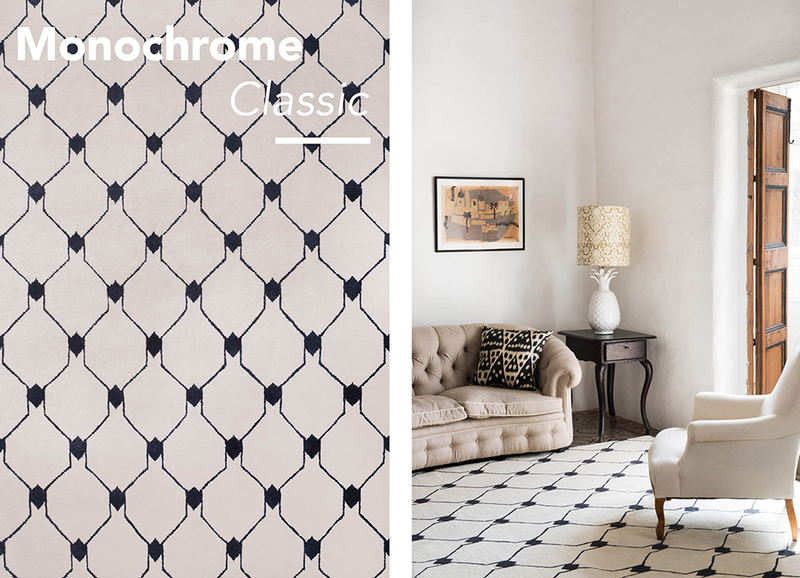 For the lover of classic style with an updated twist: This rug is so classic yet chic. I absolutely love this monochrome pattern yet the simplicity allows this piece to be a timeless style. (See more of this rug here). For the gold lover: The brass trend is not really a trend anymore and influences of gold in the home have become a real testament to great interior style. 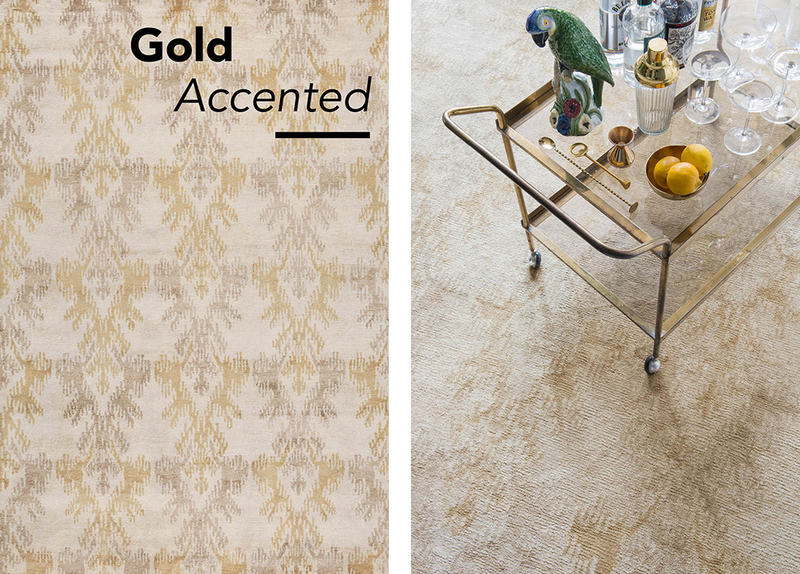 This rug is perfect for anyone who loves to embrace elegant accents of gold throughout their space! (See more of this rug here). 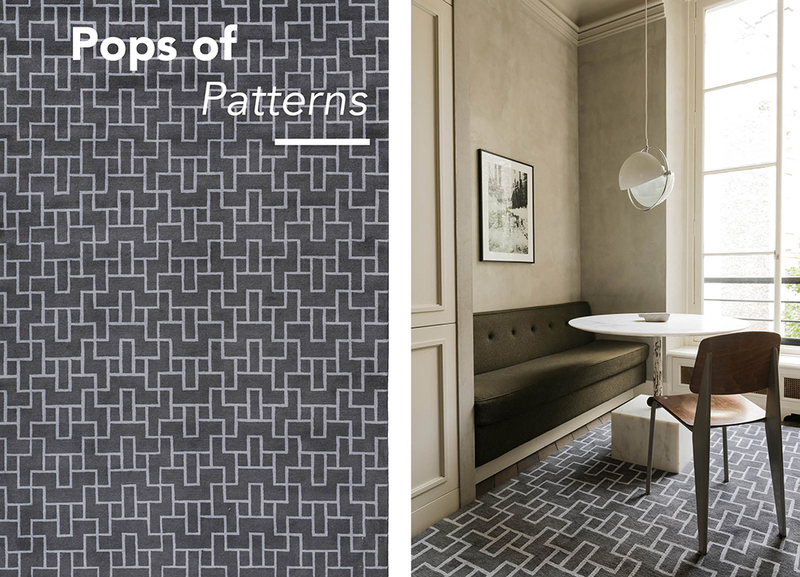 For the statement makers: Strong patterns are always a welcome interior accent in my opinion. This very visual rug is the perfect statement piece to add to a neutral interior space to complete the look. (See more of this rug here). For the glamorous: This rug is just soooo glam to me. 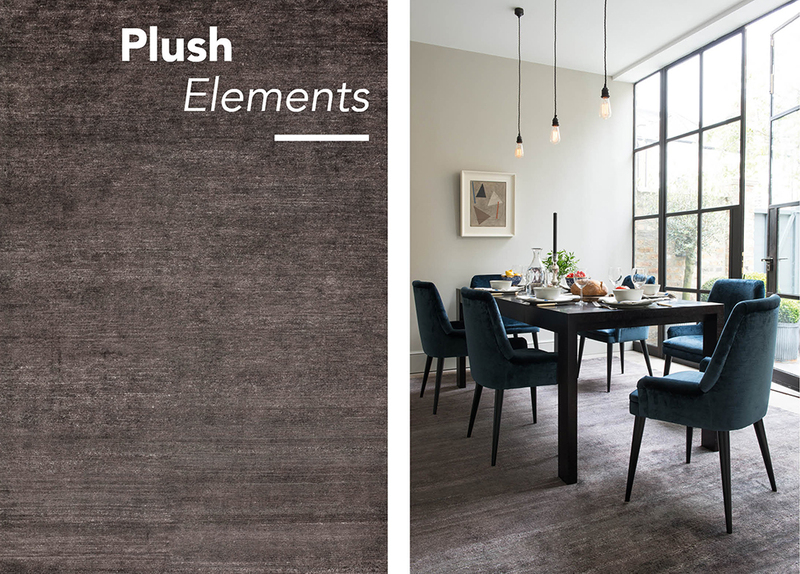 Plush, luxe and perfect for a neutral inspired room. This is an ideal look anyone channeling a more retro hollywood inspired look into their space! (See more of this rug here). 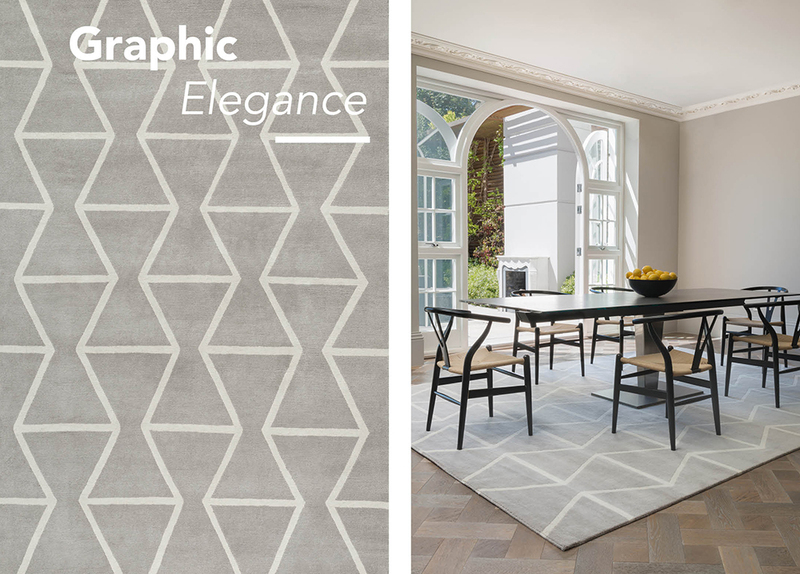 For a grown up geometric look: This rug is really special because it has such a graphic feel, but at the same time it has a very elegant style. This is a strong geometric interior style that will certainly last over time. (See more of this rug here). For the love of comfort: If you are more of a “comfort” person then choosing a plush yet contemporary rug is the best option. I love this charcoal colour and when combined with these deep blue velvet dining chairs it feels (and looks) like a match made in heaven. (See more of this rug here). 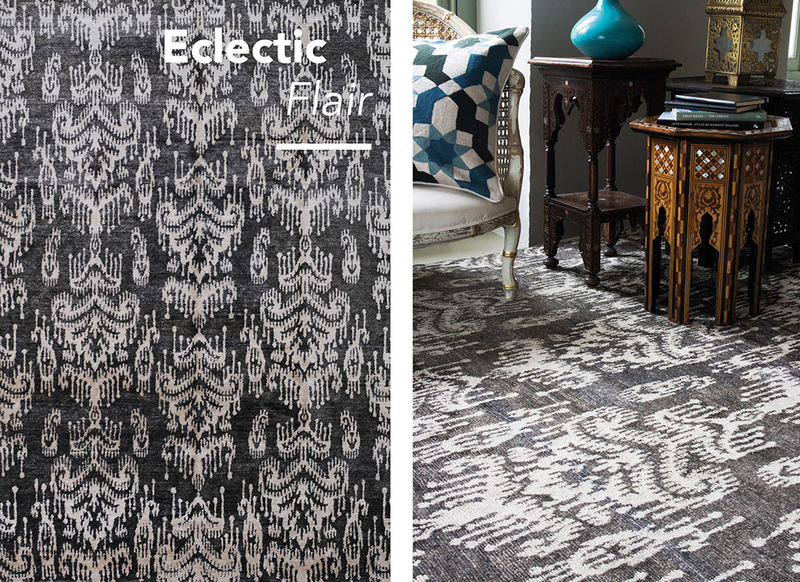 For bohemian sophistication: I love eclectic interiors and this rug has such ornate and moody inspired look to it. If you are looking for some flair in your living space, this is perfection. (See more of this rug here). 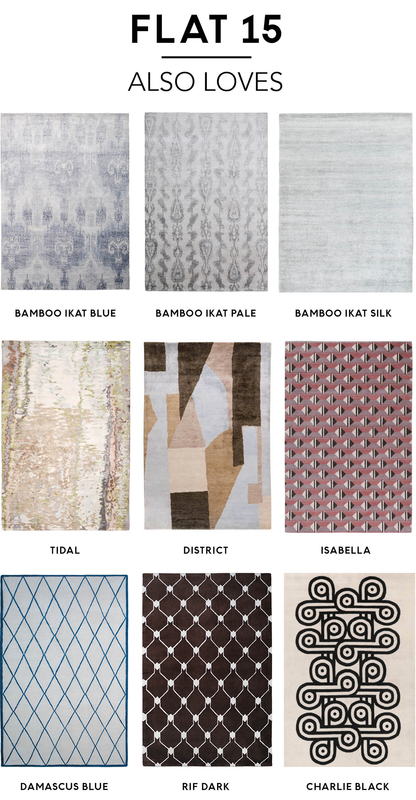 Here are a few more rugs I am obsessing over right now. I have to say that the Tidal, District and Damascus rugs are ALL on my wish list for my own space! So which is your rug style? This post is in collaboration with The Rug Company. All thoughts and opinions are my own. These are beautiful examples that you have given, as well as on the ones on the store site. Not sure if you’re referring to lower price point in regards to the rug company, or rugs overall, because it is still high. And being based in the USA, the pound to dollar makes it even more not affordable for a lot of people ( including myself). Finding a 6’x4′( 183cm x 122cm) wool, hand knotted rug for upto $1000, I would consider well priced. Yes the difference between the pound and dollar doesn’t always help with price (in the US) unfortunately 🙁 I am drooling over them too though! The Gold Accent rug is a real beauty. So elegant! The bamboo Ikats are my favorites. I can see them with fun décor and also a more serious room. I cannot see myself get tired of either one for a very long time. Good investments. Great post! Damascus blue – simple but effective. It’s bright but not overbearing, exactly the look I need in my small space.